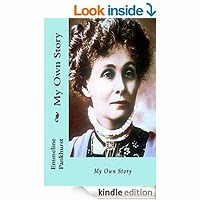 Emmeline Pankhurst (née Goulden; 15 July 1858 – 14 June 1928) was a British political activist and leader of the British suffragette movement which helped women win the right to vote. In 1999 Time named Pankhurst as one of the 100 Most Important People of the 20th Century, stating: "she shaped an idea of women for our time; she shook society into a new pattern from which there could be no going back." She was widely criticized for her militant tactics, and historians disagree about their effectiveness, but her work is recognized as a crucial element in achieving women's suffrage.